Grease and line the bases of 8 x 2/3 cup capacity ramekins and preheat the oven to 180˚C (375˚F). Melt butter over a gentle heat then whisk in flour and cocoa powder. Add milk and sugar and continue whisking over a gentle heat until the mixture thickens well like a béchamel or cheese sauce. 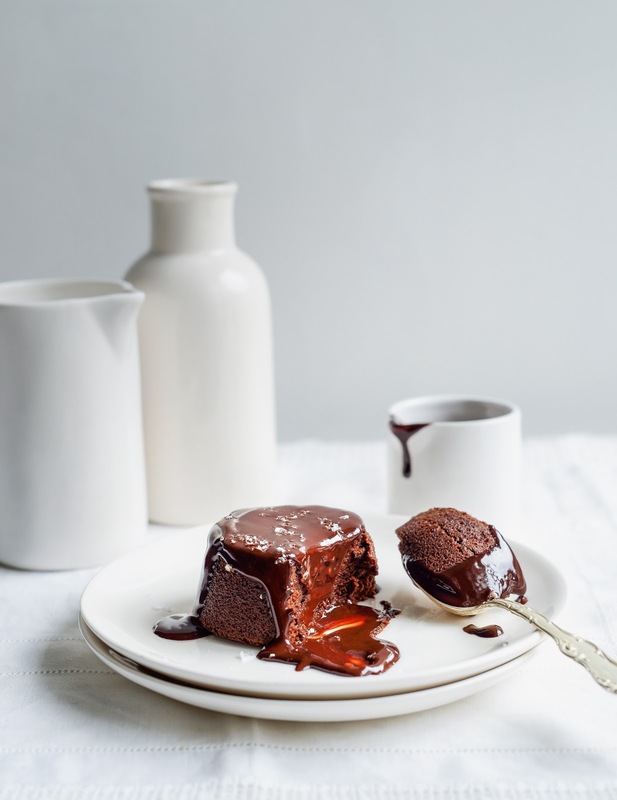 Remove from the heat and add chocolate – the heat will melt it into the sauce. Whisk until smooth then add egg yolks and whisk again. In a separate bowl whisk egg whites with a pinch of salt to firm peaks. Fold a few spoonfuls of egg whites into the sauce to loosen then fold the chocolate sauce into the egg whites. Spoon into ramekins and place ramekins in a large roasting dish. Pour boiling water into the roasting dish to come half way up the sides of the ramekins and bake for 17-18 minutes until risen and starting to crack on top. Remove from the oven and cool for an hour before running a knife around the top to loosen and tipping out onto a flat plate. (You can now pop them in the fridge for up to 6 hours to be whisked out at the last minute). To reheat either pop into the oven at 180˚C (375˚F) for 5 minutes or microwave each pudding for 20-30 seconds. 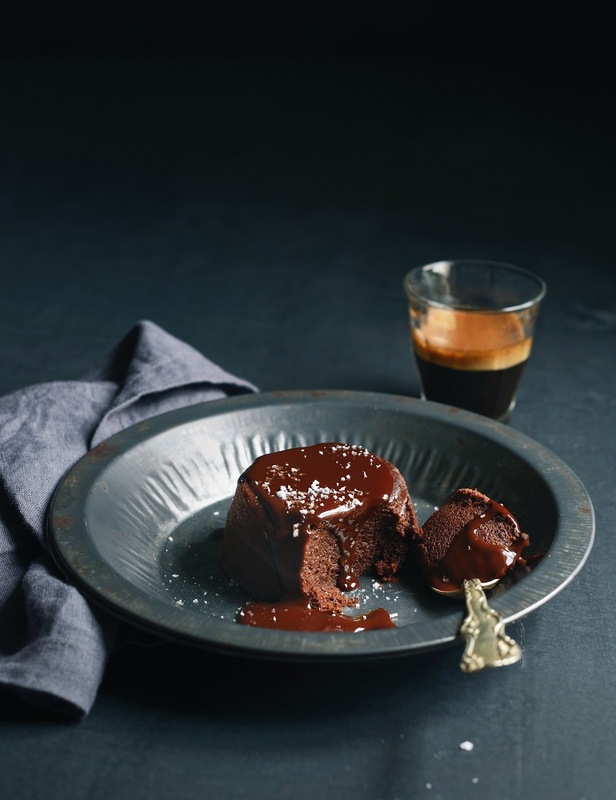 Serve with chocolate whiskey sauce, a small sprinkle of sea salt and optional cream or ice cream. Heat cream in a small pot until simmering. Remove from heat, add chocolate and leave to sit for one minute. Whisk until smooth then add whiskey and whisk to combine.